St. Margaret’s School participates in the Financial Assistance for Canadian Students (FACS) program, operated by Apple Financial Services. While this program is designed for Canadian families, all families seeking financial assistance can apply using FACS. A bursary based on financial need can be awarded for up to 50% of tuition fees. St. Margaret’s School does not have bursaries available for the Junior Kindergarten program. Both new and returning students are eligible to apply. The deadline for applications for financial assistance has been extended to April 30th. It can take up to two weeks for Apple Finance Services to receive and process applications. We would suggest that you submit your application no later than April 15th. New students should submit their application for financial assistance when they submit their application to the school. To Apply, go to Parent Login if you already have an account. If you are new to Apple Financial Services, select “Create a New Account” below the Login button to register. Apple Financial Services will provide St. Margaret’s School with a recommended level of support for the student(s). St. Margaret’s School Financial Assistance Committee makes the final award decision. 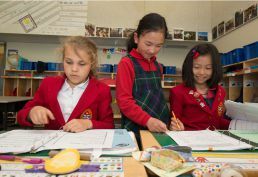 St. Margaret’s School’s will notify you of the award decision by mail when all the applications have been processed, typically around mid-May. Who can apply: Current families with two (2) or more daughters attending the school. How to apply: Complete the Multi-Sibling Bursary Application Form, which outlines the steps required to be considered, including application to Apple Financial. The Multi-Sibling Bursary is offered through the generosity of an anonymous donor, in support of families who have made the choice to educate their daughters at St. Margaret’s School. The intent of this bursary is to help alleviate some of the financial pressure that can arise through the added expense of educating a second or even third daughter at St. Margaret’s. Thank you to the donors who make our bursaries possibleso that all girls can access the unique learning environment at SMS.